Stitch Scissors are the most popular scissor for suture removal. 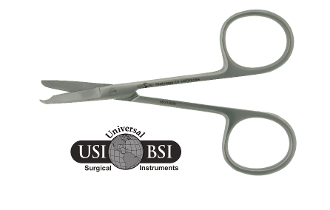 These scissors have a small hook on the tip of the bottom blade so that it can be easily slid under a sutures allowing for easy cutting and removal. It is recommended that one does not this scissor for cutting tissue.